Since it's inception in 2001, directors Susan Ayson and Dana Ruggiero are thrilled to be starting their 18th season at Rooftop Rhythms Dance Studio located in the heart of downtown New Rochelle, New York! Susan​ began dancing at the age of three and landed her first professional role at the age of 15! She received her Bachelor of Fine Arts in Dance from Marymount Manhattan College, where she had the opportunity to study with some memorable teachers such as Lee Theodore, Ann Reinking, Gus Solomons Jr., Maurice Hines, Erin Martin, Phil Black, Randy Skinner, and Frank Hatchett. Susan continued her professional career performing with the national/international tours of 42nd St. and Sophisticated Ladies. She has appeared in the dinner theater circuit in shows such as Pippin, The King & I and Anything Goes. Her regional credits include performer/choreographer in Big River, Beehive, A Chorus Line and Grease. Susan has television and industrial credits to her name and has appeared as a featured dancer in cabaret venues . She has been active in the pageant/dance competition circuit both as choreographer and judge. She has been involved in numerous school Enrichment Programs from K-12 throughout the Tri-state area. Susan is currently the Fine Arts Dance Director at Cardinal Spellman High School in Bronx, New York as well as the assistant choreographer for the Spellman Players. Married to husband Paul, she is "mom" to two beautiful children: her daughter Jillian, and her son Christopher. Rooftop Rhythms was a dream that became a reality...thank you for the gift of your children! ​Dana has been dancing since the age of two and began teaching at 14! She graduated with an Associates Degree in Dance. Being trained in all forms of dance, Dana has been teaching dance at various studios in Westchester County and New York City. She is extremely active in the New York School system, having taught dance at schools such as Hutchinson School in Pelham NY, The South Side Boys & Girls Club, Horace Mann School in Riverdale, and Riverdale Community Center at M.S. 141. Since she became an award-winning performer/choreographer in the Dance Competition Circuit, her Hip-Hop classes are in high demand. Dana is thrilled to call Rooftop Rhythms her new home! ​Bella Takkunen is born and raised in Sweden but lives in New York where she works as a professional dancer and dance teacher. She has performed as a dancer on numerous stages in NY and LA, with choreographers such as Derek Mitchell, Shirlene Quigley, Jona Biddle and Princess Lockerooo. Bella has danced on TV on shows like MTV's TRL, Good Morning America and The Wendy Williams Show. She has danced in many shows and performances such as US Open in the opening number live at ABC, Nintendo Industrial, national promo for NBA Playoffs, Midsummer Night Swing at Lincoln Center, International Emmy Kids Awards, Sears Industrial and K-POP 90's Legends Super Concert at Madison Sqaure Garden to name a few. Bella loves to share her love and passion for dance onstage as well as in the dance studio and everywhere she goes! ​​Originally from San Diego, Jessica has danced her way across the country before finding herself in New York City. She received her BFA in Dance from the University of Texas, Austin, and has performed professionally in Los Angeles, Seattle, Texas, and New York, and is currently working towards a graduate degree in Arts Management. A lifelong advocate of fitness and healthy living, Jessica is also the studio director for Pure Barre Columbus Circle. She is thrilled to be coming home to Rooftop Rhythms where she started her New York teaching career 10 years ago! ​​Christie began dancing at the age of 3 and dance has remained her passion ever since. She is an alumni of Rooftop Rhythms Dance Studio and a graduate of Hofstra University. While at Hofstra she earned her Bachelor of Science degree in Dance Education grades K-12 and is a certified teacher of New York State. Throughout her dance experience at Hofstra University she was able to perform and work with many professional choreographers in many genres of dance including Tap, Jazz, Modern, Ballet and Hip-Hop. Christie is active as a Dance Educator in the NYC Public School System for two middle schools, Archimedes Academy and Antonia Pantoja Preparatory Academy, both located in Bronx, NY. Christie is currently going for her Master of Science degree in Special Education at The College of New Rochelle. She is so excited to be “back home” as part of the Rooftop Rhythms Family. Jillian Ayson, daughter of Co-Director, Susan Ayson, began dancing at the age of 3 and has been dancing ever since. She is an alumni of Rooftop Rhythms Dance Studio (as well as the Rooftop Rhythms Performance Company), and a graduate of Hofstra University. Jillian is a New York State Certified and Licensed Athletic Trainer and Emergency Medical Technician. While at Hofstra she earned her Bachelor of Science degree in Athletic Training and Exercise Science with a Minor in Dance. Throughout her dance experience at Hofstra, Jillian had the opportunity to study with professional choreographers in all genres of dance. She danced and choreographed for multiple dance clubs and organizations on campus including Danceworks and Imani Dance Ensemble. When she was younger Jillian was a dancer for the Westchester Knicks as well as performing in various music video projects. 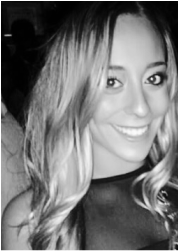 Jillian is currently the Head Athletic Trainer of Concordia College in Bronxville and is working towards her Master of Science degree in Kinesiology. She is thrilled to be back home with her second family at Rooftop! Brianna started dancing at the age of 3 and has not stopped since!! She is a 2014 Hofstra University where she earned her degree in Early Childhood and Elementary Education. While at Hofstra, Brianna continued performing in the university's dance company "Danceworks". She went on to receive a Masters Degree in Early Childhood Special Education at Hunter College. Brianna has performed at venues such as Madison Square Garden, Radio City Music Hall, Lincoln Center and was a featured dancer performing "Single Ladies" on the Rachael Ray television show. Brianna continues to dance in a New York based company, Danceworks NYC. As an inaugural dancer of Rooftop Rhythms she is excited to be back as a teacher!!! ​Lina Jonnerhag is originally from Sweden and is a graduate from The Ballet Academy of Stockholm where she trained extensively in jazz, contemporary, ballet, modern and hip hop. She moved to New York in 2016 and today she is working as a freelance dancer, instructor and choreographer in NY. As a dancer, she has danced for several different artists, internationally and in the US, in a variety of shows and dance festivals. This past summer, 2018, she danced in the tour ”Da-Bangg Realoded” with the Bollywood superstars Salman Khan and Katrina Kaif and performed with them at the IIFA Awards – Bollywood Oscars at MetLife Stadium. Lina has also been seen on TV, at MTV Trl, Telemundo Upfront Celebrations and in Swedish Idol. Lina performs with the roller skate dance company Miss´ile and is a member of Kalamandir Dance Company, in New York. Lina is passionate about teaching and has taught all ages in several styles for many years both here in the US and back home in Sweden and is excited to be teaching at Rooftop Rhythms!! ​​Shane Loftus has been dancing since the age of three. He started at Rooftop Rhythms, then went on to the children's program at Broadway Dance Center. Shane has appeared in commercials, music videos, performances at Webster hall, and has even performed in the Macy's thanksgiving day parade. Shane graduated from the PAVE dance program at New Rochelle High School in 2014, and went on to compete with Rooftop Rhythms and on his own. Shane has multiple 1st place awards both regional and nationally. He is now continuing his training at Broadway dance center to further his career as a professional dancer.